Situated in the jostling heart of London’s West End, Laurent at Cafe Royal needed a website design to stand out online; at AsOne, we found the solution in video autoplay, allowing the website to immerse the user in the luxury brand. One crucial feature that we built into the website was the ability to book a table online. This simplifies the booking process for both the user – by not needing to locate a phone number to then dial – and for the business, by removing the need for front-of-house staff to spend time on administration rather than delivering their bespoke service to paying customers. We used video autoplay feature to showcase the restaurant’s luxury approach to dining. Whilst Chrome’s regulations require a user to interact with the domain at least once to enable the autoplay feature, other browsers do not, and the immersive feel of the video serves as a great branding technique in a saturated marketplace. At AsOne, we are able to call on the expertise of the Zoo group, of which we are a key part, to assist with projects – and this collaborative approach can only be of benefit to our clients. For this project, the locality of the London office of the group to the business meant that we could be certain that the branding was perfect not online for the online world, but the offline one too. The website reflects the modern and stylish aura of the restaurant and it’s clientele. The autoplay video evokes a sense of luxury, and an altogether bespoke dining experience. 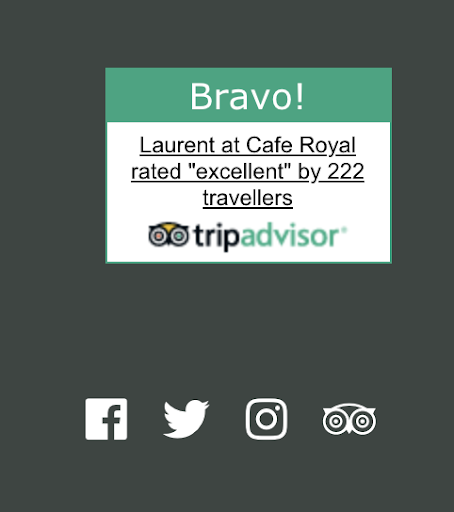 We also included on request the TripAdvisor widget, which shows real reviews of the restaurant to potential customers, reinforcing the quality of the service provided. Finally, when your business grows offline, it’s crucial that your online message doesn’t lag behind. 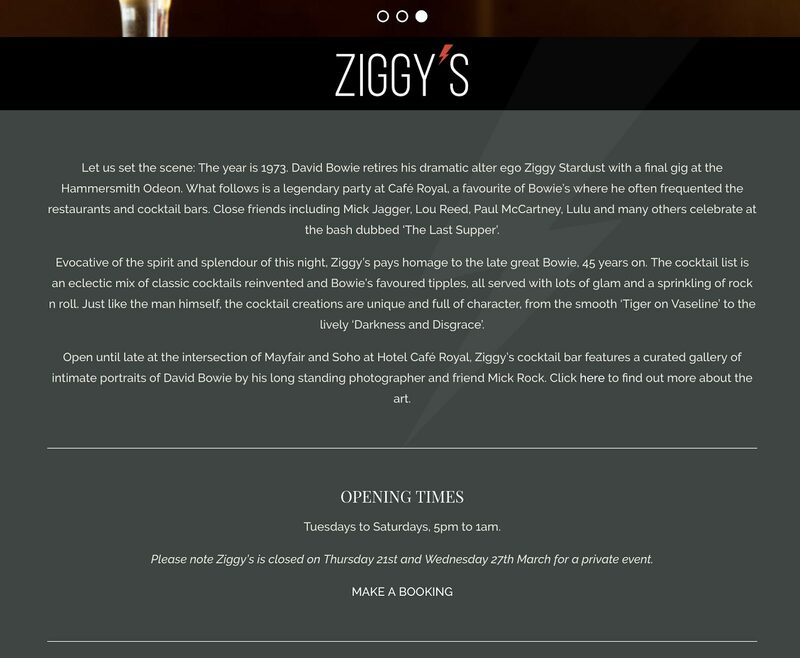 When the restaurant added Ziggy’s Cocktail Bar to their premises, we added pages to the main website that allowed diners to book into the prestigious bar.